Shotokai is largely about inner development. About refining and understanding ones self. The inner side of the martial arts is very hard to explain to the beginner. It is about over coming ones own self. Confucius said, “He who conquers himself is the mightiest warrior!” This phrase seems very fitting of Shotokai. Shotokai is a non competitive martial art or a non-sport martial art. We do not participate in tournaments. Tournament martial artists are trained to pull punches, not to follow through. In Shotokai as the punches are not stopped, there is great emphasis on the art of evasion and avoiding strikes. Timing and distance are two of the most important skills students will learn. Safety and fitness are highly emphasized in our class. Our warm-ups are frequently aerobic and kata (set prearranged movements) is performed with a low center of gravity giving your legs a good work out. 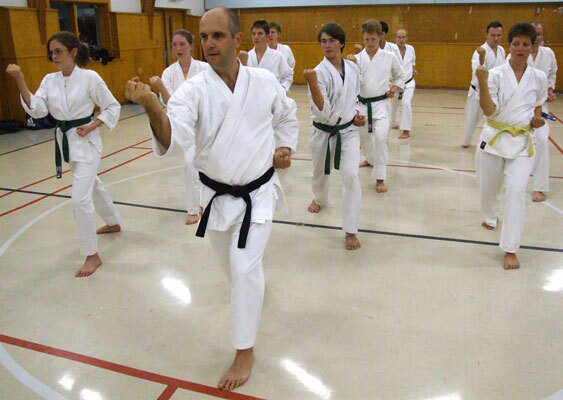 Unlike other styles, Shotokai avoids the use of a “kiai” during kata, this helps enhance the fluidity of movement. Shotokai techniques are soft and flowing. The basic concept is that the body must be relaxed, the mind must be clear and receptive. Techniques are performed in a natural way avoiding tension and muscle. The soft, relaxed techniques and a focused mind will project movements beyond ones self. Softness does not necessarily mean slowness, nor does it mean without power. Shotokai is full of life and vitality. The execution of technique at any speed must be soft, flowing and continuous without the loss of form. 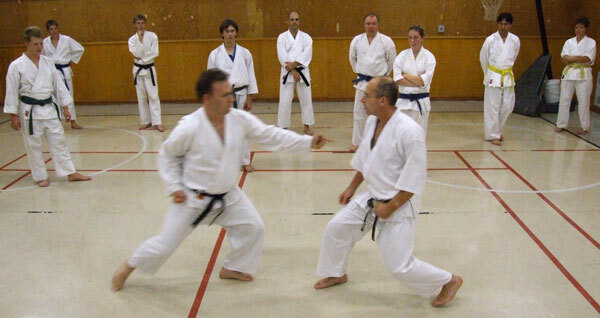 Shotokai kata and Shotokan Kata are identical with the exception as to the manner in which they are performed. Shotokan relies on fast rigid techniques while Shotokai kata is very relaxed and flowing with no stops, applying principles of harmony and moving meditation. Shotokai is, however, full of vitality and energy, both internal and external.